There’s a lot of work involved with spring cleaning, but boy does it ever feel good when you finish it! All that de-cluttering, organizing and dusting makes a big difference, so imagine how you’d feel if you spent time spring cleaning your finances too?! Create an emergency file: In case of emergency, it’s wise to set up either a paper or e-file with all the log-ins and passwords to your important accounts. For safety’s sake, you might not want to use an obvious label name, but let your spouse or family member know where to access this information should an emergency arise. Make an insurance inventory: Make a room by room inventory of items you would want to file an insurance claim if needed. Take photos of each item and store with the receipt, or make a video pointing out items throughout the house along with their value. Once you get the initial inventory done, it’ll be easy to add newly purchased items one by one. Monitor your credit: Keep tabs on your credit score to help monitor your debt repayment progress. A high debt ratio can negatively impact your credit score and result in higher interest rates and monthly fees. 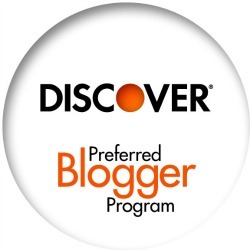 Discover provides cardmembers their FICO® Credit Score for free on monthly statements. They also offer key reasons on why it may have changed. Having the ability to monitor your credit on a monthly basis, will allow you to see over time how reducing your debt has an impact on your credit score. Transfer your debt: As you work on debt repayment, look to see if consolidating your credit card debt with a balance transfer can help. Doing a balance transfer with Discover for example, allows you to repay your debt with one monthly payment instead of paying several balances. This will help you save on interest and reach your pay down goals. Go paperless: Cut paper clutter by opting for the paperless versions of monthly account statements. Shred it: Further cut your clutter by shredding old paperwork you don’t need. Anything with sensitive account information on it should always be shredded. Old paper receipts which have been reconciled with statements or reimbursed as expenses can be shredded. The exception is for tax-based receipts. You’ll want to keep those in case of an audit. This post was sponsored by Discover. All opinions are my own. Some great info – I need to work on this myself. Thanks for sharing!! I need to spring clean my finances too! Love this! YAAAAAAS to all of this! I never thought to spring clean my finances, but this is an EXCELLENT idea! As soon as I get my taxes done (hides head in shame for still not having it done) I will hop on this! Ahh Spring cleaning the old finances. Never thought about it that way before. Still, after taxes and everything we do during this time it really does become that. Wonderful advice Liz! I’m currently paying back numerous student loans and the paper trail is long and exhausting. I’m gonna look into these tips and discuss them with my bank. Thanks so much Liz! This is a great idea. People often take care of their finances by accident instead of being intentional. These tips are great. Great tips. The less paper the better. These are fantastic tips! I’ve never thought of “spring cleaning” our finances but that is a great idea. Thanks for sharing at Merry Monday this week! My husband and I were seriously planning our finances to the next level of being debt free when we retired. Were taking all the consideration to be able to achieve this hopefully in the near future. Will forward this to my husband for sure he will be interested as much as I do. These are really great tips and tricks to spring clean our finances. I need to buy a shredder and it’s on my list of needs. i am so shredding all my stuff next week. need to clear out a lot of paperwork. Thank you for posting such a fun & informative article. This just remind me to do a spring cleaning with my finances. I will be sharing this to my family & friends. Those are great tips. Thankfully we pretty much do this all year long. Yuck. I do not want to think about money right now because I don’t have any lol. This was an excellent post. Sharing with my husband!! Great tips! Never thought of shredding old docs & bills. Thanks! Bank statements so this has been a great reminder. What a super great post! I always worry about Spring cleaning but never thought about doing that with my finances. These are some really handy tips! I’ll have to try a few of them I think ! I love this idea of the spring cleaning. And your idea about the insurance thing is SOO important, as people usually don’t think of that need until sadly it’s too late. Everyone should do a video walkthrough of their place. and if possible, put all your receipts on the floor and do a quick pan over them all. that way everything is in ONE video that you can put in the cloud for that rainy day. I like the idea of transferring debt. Especially if you can save a lot of money on interest. I need to look into balance transfer offers and Spring Clean my finances! Paperless is such a great option for the environment! Great tips! I just recently turned all my bills into paperless! More organized less clutter! I’m awful in this area. I like the idea of a good spring clean to start fresh with my finances! My husband and I are really trying to pay our debts down. It is not easy but as we take steps towards it, it gets easier. One day it will exist no more! These are some great tips. I’m definitely going to try some of these. I am always looking for ways to clean up my finances. What better time to clear up and clean up your finances than springtime. I love these tips and thank you for sharing! These are some great tips! I actually monitor my credit often. I always want to make sure it’s good and nothing bad is happening to it. I do need to go more paperless though. I pretty much already have, but there are other ways I could go without too. Hi, haven’t been here for awhile, just seeing the new name and look – love it! Good tips, I was wondering if a balance consolidation/transfer would be helpful. I may look into that. Thanks fro the tips. Each year after tax time, my husband and I use our tax return to pay off debt and we put some away for emergencies. Love this! Working on it now, I hate debt and messy finances. Perfect time to get them in order. These are all great tips! Love the idea of writing down important passwords in a safe place. Never know when you’ll need them. 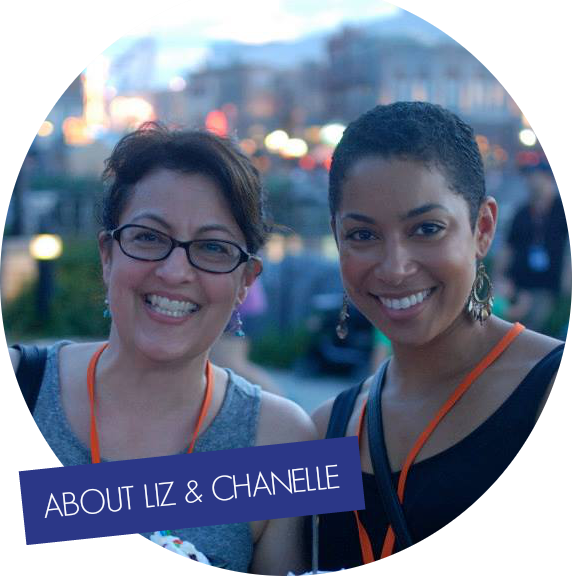 Love these tips for getting financially organized. I am pretty impressed with myself and how I have handled money this past year. This is a great idea. I know for us, by now paper is stacking up and I desperately need to shred it all. I love the paperless option everyone has now. That insurance inventory is one thing I have always meant to do. It would be so easy as I have a camera that cam make a video an d it uploads to drop box. I need to get on that! I shred and check my credit report. I could do more, definitley. All excellent tips here! Love all of your tips. We have been working to save money but no really doing it…. I’m sure following these will help! Thank you for sharing them! You list some great tips here. I think it is important to mind one’s finances! Going paperless is huge to me. Some places still send paper and it drives me nuts even though I’ve requested otherwise so many times. love all of your tips. i have been working to save money and following these will def help. thanks for the awesome share. 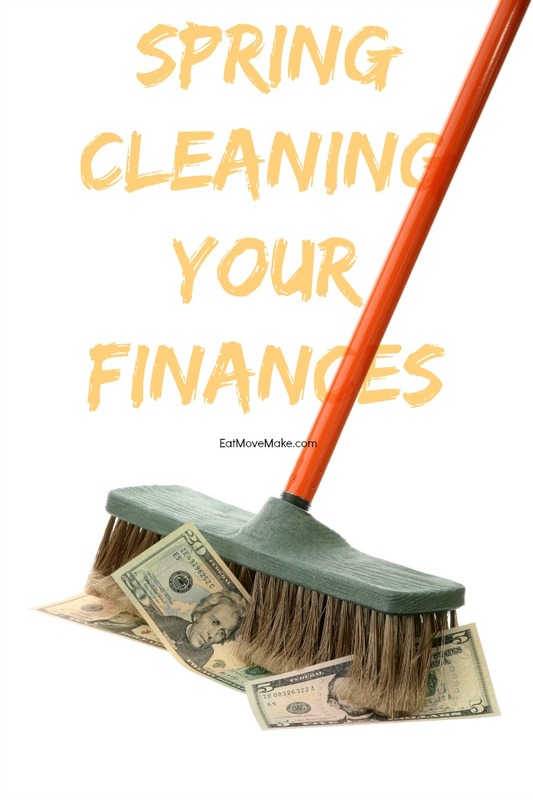 I want my friend to read this post and cool tips since she want to know what the perfect way or to do with cleaning finances. I think keeping an insurance inventory is really important and most people don’t. Thanks for all the cool tips. Being able to go down to one payment sure would make things easier. I need to look into that. oh my goodness yes!! especially to shred what you don’t need. Finances have been on my mind for weeks. I can’t believe it’s tax season already. I hate billing paper in our house I prefer to send in to my email and it’s paperless. Spring is the perfect time to think about finances. Who can forget when April 15th is right around the corner? Thanks for some great new things to think about. I love paperless billing! I prefer an email telling me my due date. I also keep excel spreadsheets for my budget of each paycheck and for my savings. Great tips! I paid my credit card off and am so happy. I feel I am starting spring with a clean slate. Having an emergency folder is such an important thing to do. You never know when something will happen and you need access to all that information. Transferring debt is a great way to take advantage of better interest rates. I’ve done it myself in the past. I’ve just started to work on finances and it isn’t pretty. Lots of little payments for everything and they all add up. I need to do this! I so need to do this! I spring clean the rest of the house, but my finances are a bit of a mess. Lol, with me it is the opposite. I have my finances in check but my house, not so much. These are some wonderful tips. I definitely shred papers all the time. I also burn them so that they’re not going in the garbage. A great reminder about spring cleaning our finances! We just did our own personal budget review. it’s a great way to stay on track. I’m in the process of shredding documents. It takes forever to do, but it’s nice knowing the papers are being shredded and not just thrown in the trash! Those are some great tips. I’ve always meant to do an insurance inventory, especially on my jewelry, but I always keep putting it off. I guess it’s time to finally get that done. Great tips! We went paperless years ago and love it. I’ve been trying to convince my mom to do it too, but she’s so old school, she prefers paper bills. Ugh! Oh, finances. The most irritating thing ever, right? I know that I need to do a better job at saving even more. M husband said to me the other night; do you want nice things or a bigger savings account? lol. When I was younger I didn’t think about finances, I spent money like there was no tomorrow. Now I’m older with kids it is so much different. I do however need to learn to shred important paperwork instead of just getting rid of it in the trash. I am in the process of doing the same right now. I am so ready for financial freedom! My credit score has been on my mind lately because I’d love to purchase a home and get a new vehicle sooner than later. There’s no better time than now to start getting everything right. I just had someone go over finances and it really helps! Spring is a great time to get your finances in order, especially if you are planning on traveling or taking a vacation this summer. We always make it a point to monitor our credit so we can catch any fraudulent activity right away. Great list of ideas. I need to get on top of this. We have so many old papers all over the house, it would be a great time to shred it all. Thanks for sharing. I make sure I have records of everything, I keep track of my finances a lot better. Also, excel sheets really help with these kinds of decluttering. Awesome tips! I love going through my files, and getting rid of stuff I don’t need anymore! It feels GREAT! Plus, I have binders to organize the stuff I need to keep! I have file cabinets after file cabinets. I need to be better about shredding old documents. Going paperless would help get them all out of the house. Cleaning out paperwork has been on my to do list for months. I haven’t been able to use my desk because it’s covered. I can’t wait until it’s cleaned up and tossed. I find it very liberating to shred all that ol paperwork. Some great suggestions. We just went through a huge pile of paperwork and shredded a lot of it. Need to check off some of the other things on your list. These are really great tips. We are in the process of going totally paperless. Save me all the piles of paper to file! These are all some good tips.We already go paperless for the most part and also have a shredder. I love the idea of Spring cleaning your finances. When we were just starting, we did a consolidation and it really helped us a lot. Very helpful tips to help keep our financials in order. A big one for me is the insurance company and recording our valuables, thank you for the reminder. I really need to get a hold of my finances. I’m really frivolous and need to keep them in check! I never thought about spring cleaning our finances before but it makes sense. I’m sure our finances could use some attention. Also I have heard about photographing valuable items but I never find time to do it. Maybe I should try a little harder. We are working on our getting our finances in order. With the economy in a down slump it’s important that we watch how we spend our money and save as much as we can. I can’t wait to be debt free! I really need to take inventory of our house. It’s been on my to do list for years! Great tips. Anytime is a good time to clean up the finances. Thanks for sharing. Getting ready for tax season is always the time that we go through and evaluate our finances. We need to do a better job of monitoring our credit. I know that at one point something was going on because one company had my birthday wrong! These are great pieces of advice. We monitor our credit regularly and I am a big fan of shredding. I try to make shred piles every month! The emergency file with all of the passwords and whatnot is an excellent idea! It is helpful for not only financial accounts, but even just for e-mail. When my Dad passed away suddenly six years ago, nobody knew his e-mail password and I had to fight with our ISP to delete his e-mail account! There were other Internet accounts that we had to deal with as well. Luckily my Mom took care of the finances so she had all of that information, although I will make sure that she has the information safely filed somewhere so that if anything happens to her, I would be able to take care of things for her. Great tips. I tend to save a day of the month for bill paying and gosh, this time of the year, there’s a lot of bills! My grandfather owned his own business, so I learned about keeping track of your money and how to do it properly from a young age. Unfortunately, not enough people know how to do that. Some really useful tips and ideas .I think we all need to follow suit. I need to go through rest of the files and get rid of clutter. First I have to find out how long to keep certain paperwork, because well I just can’t remember or the rules have changed. Great tips! It is so important to spring clean the finances too! You can really save a lot just by reviewing finances each year. Shredding. I am horrible at it and I know I need to do it. Such great tips. Just in time for tax season too. I’ll be doing some of these right away! I recently did this and it felt great…when it was done. During it, not so much, lol! It made me realize how much stuff we have accumulated over time. Good tips. We all could use a reminder on how to be better about our finances once in a while! These are all great tips! We try to be as paperless as possible when it comes to our finances but some of the local places we get bills from haven’t quite caught up to the times. I love to spring clean. You’re right it feels so good when you’re done and everything is all nicely organized. We are definitely all paperless hear it if we get something in the mail we shred it for sure. My Mom has an emergency file with everything typed out. She did it in Excel, and that spreadsheet is like the Holy Grail to all of her accounts. I need to do this. I’m way behind on my shredding. There are a stack of bills and things on top of the microwave that I need to dive into! Thanks for the reminder. These are awesome tips. Monitoring your credit is very important. These are really great tips. I always shred everything! And monitoring my credit is important to me in the age of Identity theft! I like saving for a rainy day and it is so important to have money set aside for emergencies. These are definitely good tips for everyone! It’s easy to let things slide. These are great tips. I have started to go paperless for almost all of my bills. I have a couple more to switch over. I love the idea of a Spring Cleaning on Finances. I have always wondered if transferring our debt would be a good option. Maybe I should check into it more. This was a great read. I’ve never actually thought of giving my finances a yearly once over before. I need to start. So far, I’ve been lucky, but I don’t want to rely on that! A yearly reassessment of your finances is always a good idea. Things change. Approaches to achieving your goals change. I love this. Finances are something worth looking over and revamping once a year. If you don’t stay on top of your finances, they’ll stay on top of you. Great spring cleaning reminder! I must do some shredding this spring, I have so many old documents I no longer need. I just went through and did some of this! I try to clean up at the beginning of every year! Great ideas here! This is perfect timing with tax season. I’ve been reluctant to go full paperless but I’m also drowning in paper. Seems like a good time to make the move. I’m going to warm up the shredder and get rid of old checking statements and medical records. I need to dig mine out of the basement and do the same. What an awesome reminder. Great tips. Spring is a great time for all kinds of cleaning especially financial cleaning. Such a great idea, I love a good spring clean, luckily my finances are not too bad, but need to get my Dad around getting rid of paperwork that is years old and not needed, it is a long process. These are all wonderful tips, i control the finances in the household and i need to follow some of these as it can get over whelming at points when you can’t find something important. My husband is an accountant, so he is on top of our finances. Loving your tips – they are all spot on! We try to go paperless with everything so there really isn’t much to shred. After taxes we definitely are going to have to spring clean our finances! Wow! My husband and I did this kind of thing last night. We are working on going paperless this year.